I quickly updated all of the morning temps across all 16 ski area mountaintops this morning and saw temperatures ranging from 34° at Snowshoe, Canaan Valley and Wisp resorts to 46° across some of the Virginia, Tennessee and North Carolina mountains. I also saw a lot of 24-hour damage to the snowmaking efforts of just a couple of days prior. As I popped in and out of weather data across each area I saw .46″ inches of rain that fell at Canaan Valley; .7″ of rain at Garrett County, Maryland (home to Wisp Resort); .6″ of rain at Snowshoe (which did adversely effect their early base); .93″ of rain at Appalachian Ski Mountain (more about their early base in a second) and 1.2″ of rain (the most we saw) at Sugar and Beech Mountains. 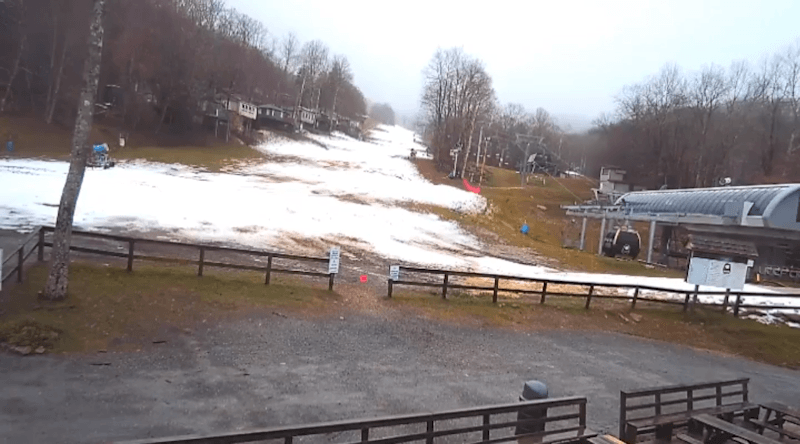 Before I get into base coverage (since there’s only one ski area open today – and surprisingly so) this round of “under-developed snow” as Joe Stevens calls it, got me to thinking about just HOW MUCH snow would this have been if the temperatures were just a few degrees lower. Depending on the water-to-snow ratio (it varies due to temperatures, etc.) snow can be from a 5-to-1 ratio to as much as 20-to-1…with the norm being around 8-to-1 or so. 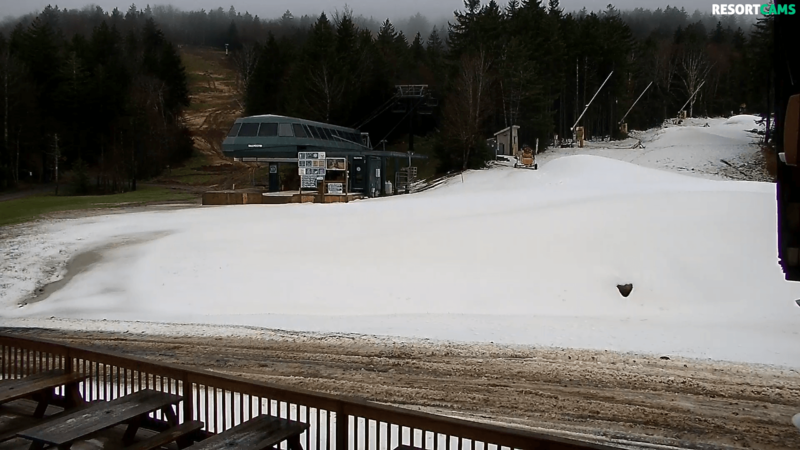 Using the 8-to-1 number, Snowshoe would have seen about 5″ of snow over the last 30 hours. Sugar and Beech as much as 9-10″. 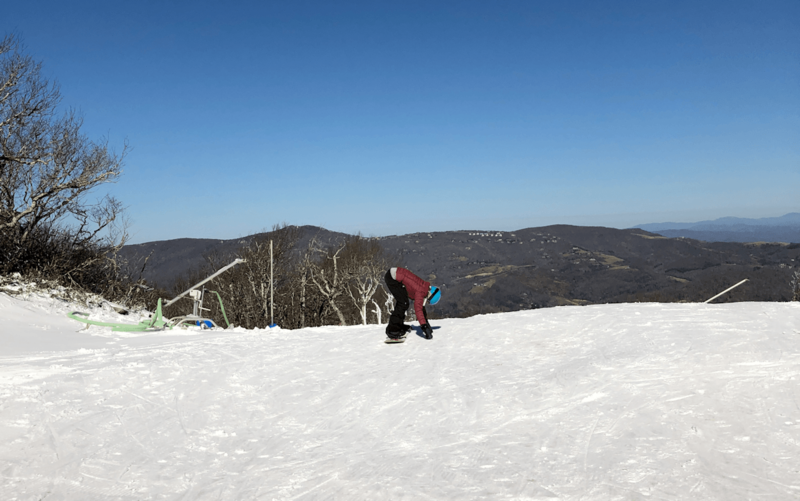 Unfortunately, the temps are what they are and this mid-November round of moisture simply dampened everyone spirits – except for those hearty souls who were out making turns at Sugar Mountain on Monday. It IS what it is…as they say. A Difference in Perception? Business Model? Does it Matter Anyway? 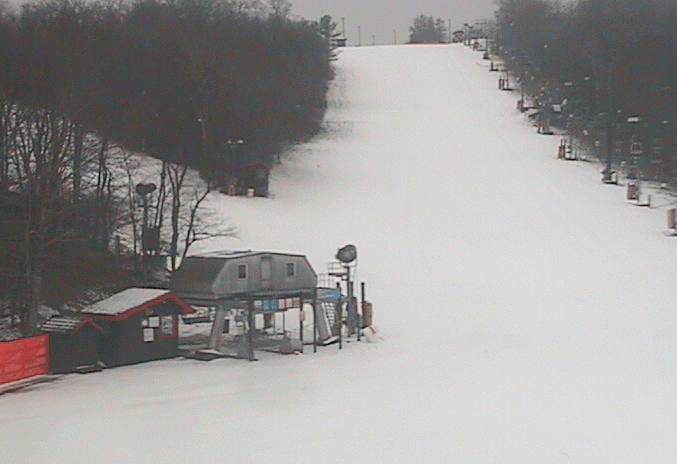 Snowshoe has piles of snow ready to move around. …and trust me when I say that IS the sentiment shared pretty much across the board. The answer? Because they can. Because they want to. Because people are willing to show up. 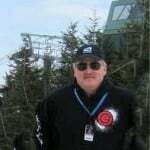 My buddy, Joe Stevens says it often every season, “How much snow do you need under you to go down a mountain?” Sure we all have visions of powder up to our armpits in our descriptions of perfect conditions. However, nobody ever said it has to LOOK pretty. In fact, during these “less-than-stellar” conditions, Sugar’s ticket windows prominently post advisories that guests should have a look at the slopes before buying a ticket. So I guess the moral of this story is – if ski resorts build it (a base), then guests will come. To be honest, I used to snicker a bit when I’d see Sugar open with a five foot wide swathe of snow connecting the bottom. But you know what? Good on them for being willing to provide a spot for paying customers to play. So it IS all about perception. Oh wait. I won’t get those anymore as my youngest is now at Virginia Tech. Oh cool. Next articleSnow, Cold Air, and Winter Storm Warnings Posted…but it’s Strangely Quiet Out There!